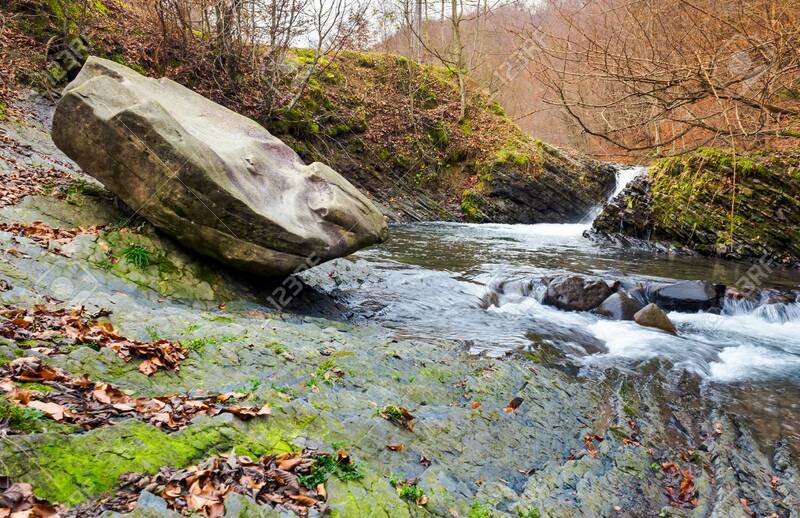 Giant Boulder And Small Cascade On The River. Lovely Autumn Scenery.. Stock Photo, Picture And Royalty Free Image. Image 103702285.